Magento development & design. Want to rebuild an existing Magento store? Create a new one? Or maybe you need a custom extension for your website? 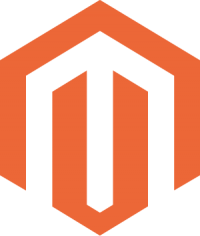 Customised API integrations, gorgeous and responsive Magento eCommerce websites, and much more, we are one of Australia's most experienced and respected Magento developers. Magento support. 23 Creative ensures your eCommerce store always has a minder on the job. We make sure everything is running smoothly, with an optimal customer experience. Support is tailored to your needs, with retainer and pay-as-you-go plans. Magento code audits. Poor code seriously impacts your eCommerce site's efficiency, search ranking, security, and customer experience. Our team performs an in-depth review of your site and makes recommendations for hand-coded, professional improvements to keep your store growing. Magento SEO. You can't sell to customers who can't find you. SEO for Magento grows your visibility and puts you in touch with new customers and expanded sales opportunities. Enjoy improved search performance that is organic and sustainable. Managed Magento hosting. Dedicated Magento hosting for your store delivers improved performance across the board, including better customer experience, search visibility, and security. Initial meeting. We find out more about you and your business. If you're in Canberra, we can meet over coffee; otherwise, we're happy to meet on the phone or online. The idea is to hear first hand about your business goals and challenges. Our proposal. Our Magento team prepares an initial proposal. We review available options to overcome your challenges and meet your goals. Everything comes with a ballpark estimate of costs and schedule/outline of work needed. Finalising the plan. We settle on a plan, including a precise and clearly-stated schedule for costs and time required to complete your project. Once that's agreed, we get to work. Development. Throughout development, you can follow our progress on a staged, private version of your website. We stay in touch as we work, so you can always comment and make adjustments. Testing. Thorough testing is a critical part of the development process. Our team checks, double-checks, and triple-checks your website, to ensure everything is working as anticipated. Website launch. It's go time. Our process ensures launch is as stress-free as possible. We monitor efficiency and performance, minimise downtime, and keep things running smoothly. Support. We're always here to help you get the most from your eCommerce store and grow your business. Our team is available 24/7 if you need help or want to talk about additional services. We're here for you – contact 23 Creative today and let's talk Magento!